Magnus Carlsen, world chess champion. Magnus Carlsen won the World Chess Championship in a soundproof glass box on Wednesday evening. Seconds after the final move, through the thick glass, he gave an exuberant double-fist pump to those of us standing in the viewing hall. It’s the third time he’s won the championship, and he has reigned as world champion since 2013. On the 50th move of the 16th game of the match, and the fourth game of the tiebreaker, Carlsen slid his queen to the h6 square, putting his challenger Sergey Karjakin in check. And like that, 19 days since they first sat down, it was over. Carlsen, the world No. 1, went into the match as an 88 percent favorite, and into the tiebreakers as a 74 percent favorite, according to FiveThirtyEight’s analysis. But he had to work harder than anyone predicted to finally crack his Russian challenger, Karjakin, the world No. 6. The 12 regulation games that preceded Wednesday’s tiebreaker were generally tense and closely contested, and ended tied 6 to 6. Games 3 and 4 featured the most epic draws in recent chess history, spanning hours and featuring wild swings in advantage and white-knuckle ticking clocks. Karjakin constructed impenetrable fortresses, and escaped like a chess-board Houdini, frustrating Carlsen physically and mentally. 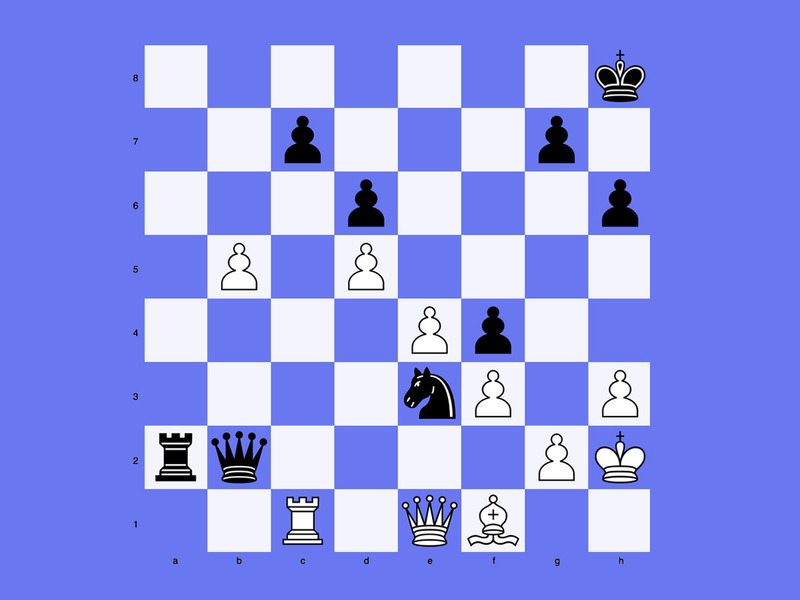 In Game 8, Karjakin unexpectedly struck first, and with the black pieces to boot. He won the game and took a commanding lead in the match. Carlsen finally counterpunched in Game 10, drawing Russian blood and leveling the match to eventually send it to Wednesday’s tiebreakers. The four tiebreaker games were played using the “rapid” format. Each player started with just 25 minutes apiece, with 10 bonus seconds added each move. This was significantly quicker than the regulation, “classical” games, which took up to seven hours. Game 1 of the tiebreaker continued a major theme of the match, beginning with the Ruy Lopez opening for the ninth time in 13 games. By Wednesday, the two competitors had battled amid the intricacies of this opening many times, often to draws. Sure enough, the first game of the tiebreaker was a straightforward draw. It was a gentle sparring session before the haymakers to come shortly. According to a computer analysis on the website lichess.org, neither player made any “inaccuracies,” “mistakes” or “blunders.” (In chess, there are so many possible transgressions they come in three different levels of severity.) Game 1 was solid, grandmaster chess. They agreed to a draw after the 37th move. In Game 2, the grandmasters eschewed the Ruy Lopez for the Giuoco Piano, which the two also played to a draw in Game 5 of the regulation match. “Giuoco piano” means “quiet game” in Italian, but this was the loudest quiet game in chess history. Karjakin, as he did repeatedly throughout the tiebreaker, was running out of time, and Carlsen built up a significant advantage in pieces left on the board. But Carlsen, in turn, hesitated. In what the computers saw as a heavily advantageous position, Carlsen took nearly five minutes to play his 35th move, and more than another minute on the next move. The two traded queens shortly after, on the 37th move. This dissipated Carlsen’s advantage somewhat, and simplified the position dramatically for Karjakin, but Carlsen still remained far ahead. The computer engine Stockfish, running on a supercomputer, found checkmate in 51 moves for Carlsen, on his 62nd move. Would that Carlsen had a silicon brain, he’d have won the game for sure. Other humans also saw the position as a foregone conclusion. Stockfish again found a sure mate, this time in 22 moves. The sequence begins with Carlsen moving his bishop to the e6 square, putting Karjakin in check, beginning an unstoppable attack. But Carlsen moved his other bishop to d6 instead. 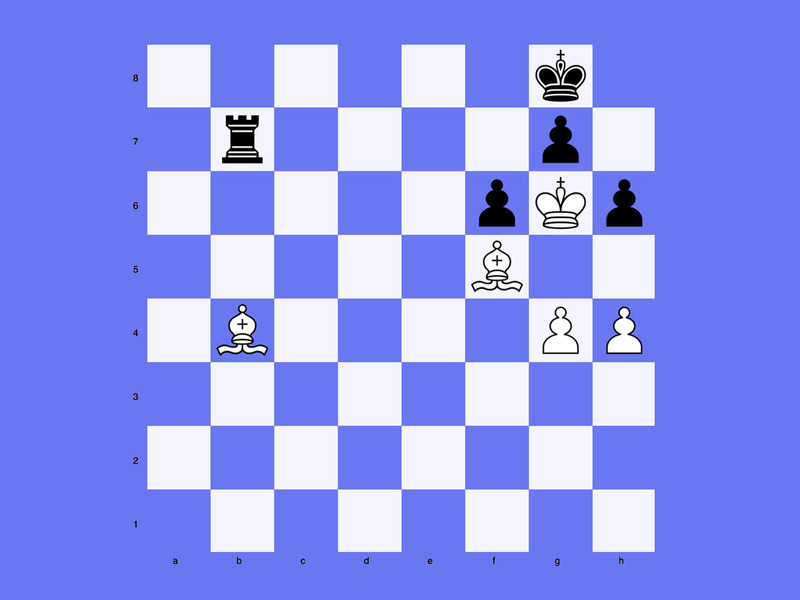 This allowed the Russian to move his black king to relative safety in the corner, on h8. The game ended in a stalemate a few minutes later — an 84-move draw. Karjakin had escaped again. Judit Polgar, a grandmaster doing commentary on the match, said that by drawing the game, Carlsen had lost the world championship. Game 3 began yet again with the Ruy Lopez — the 10th time in 15 games. But Carlsen channeled the frustration of Game 2, finding something new (an advantage!) in this umpteenth Ruy game, and a healthy edge in the middlegame along with it, according to Stockfish. “For Karjakin, it’s on the edge of the cliff again,” Polgar said of the game around the 22nd move. Sliding his rook to b1 was the only move that wouldn’t doom him — and indeed the game may well have been a draw. Instead, with his time under 10 seconds, he moved the rook far north, taking black’s pawn on c7, and it was lost. After white moves his rook to c7, the black rook coming down to a1 causes fatal problems for white. Karjakin resigned after that move. As he came out to the celebratory press conference, the crowd sang “Happy Birthday” to Carlsen. He turned 26 on Wednesday. I’ll write a little bit more about the championship on FiveThirtyEight tomorrow. And about chess, on Twitter, forever. A win is worth 1 point, a draw is worth a half-point for each player and a loss is worth 0 points.